Remember that the sun’s rays are more intense at the beach and at higher altitudes and may require more intense protection. A certain amount of sunscreen must be applied for it to be effective. 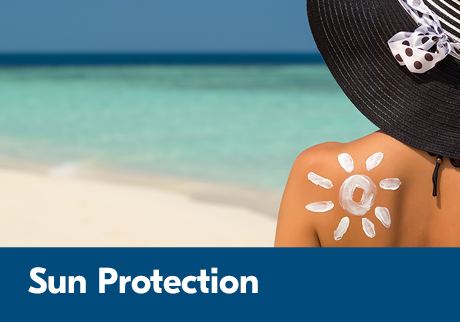 If you use less, you reduce the effectiveness of the Solar Protection Factor (SPF). Some medications or classes of medication can make your skin more sensitive to UV rays or adversely affect your body’s cooling system. Avoid direct sun exposure between 11 a.m. and 3:00 p.m.
Wash any skin that has been in contact with insect repellent with soap and water as soon as protection is no longer required.